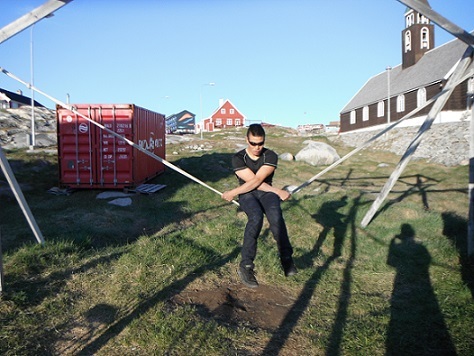 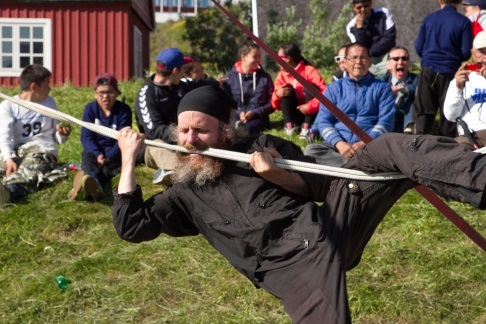 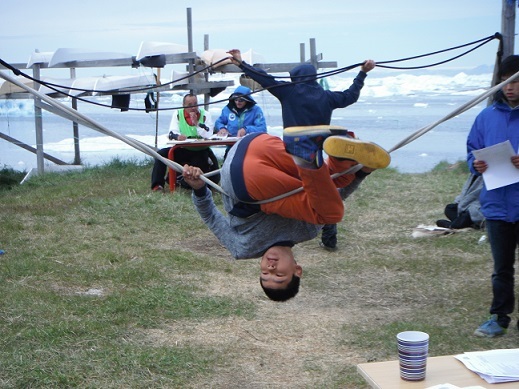 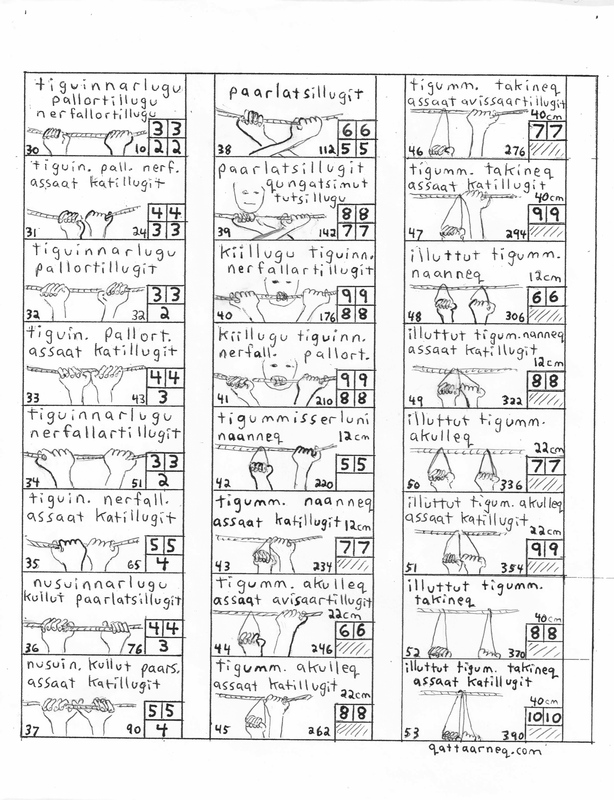 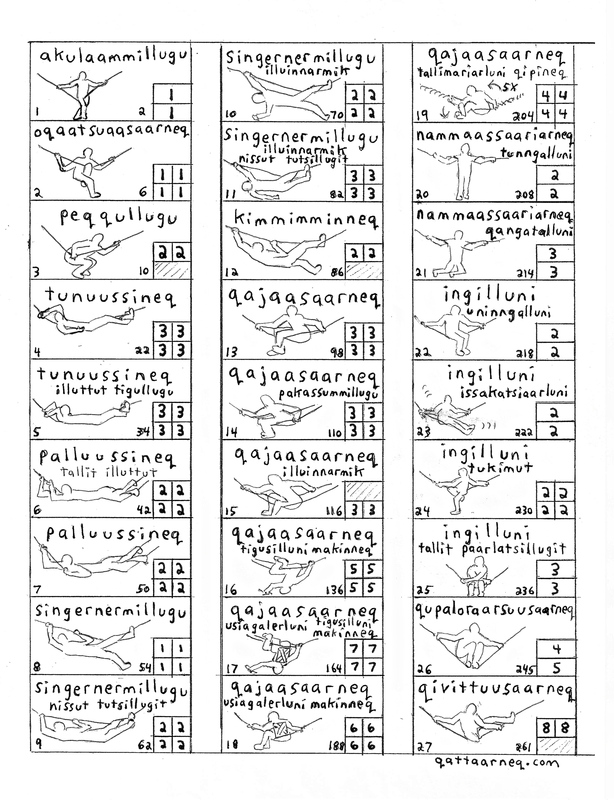 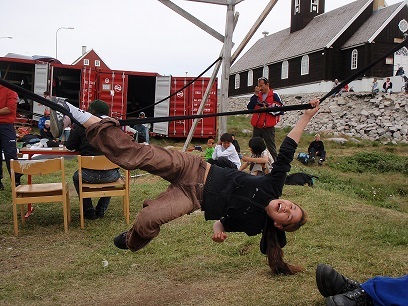 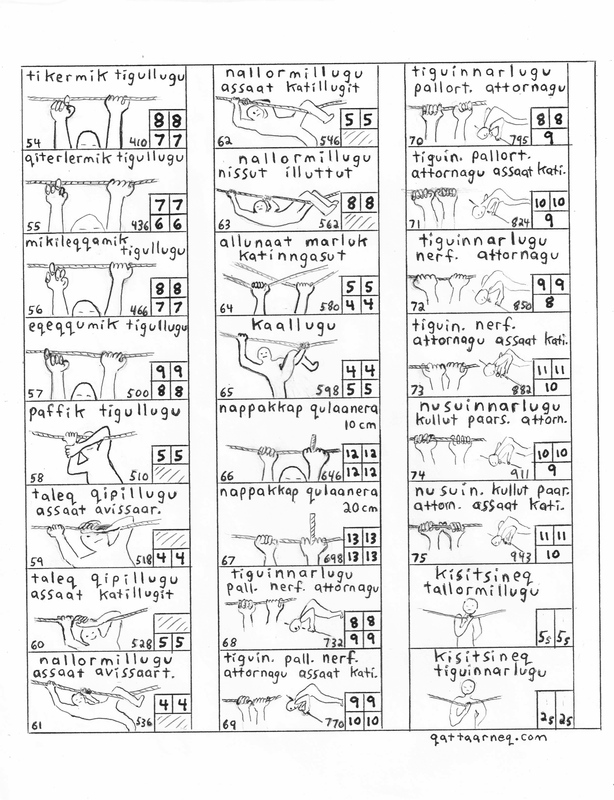 Allunaariaqattaarneq aka Greenlandic Rope Gymnastics is an ancient fitness training system for building strength, flexibility, and coordination. 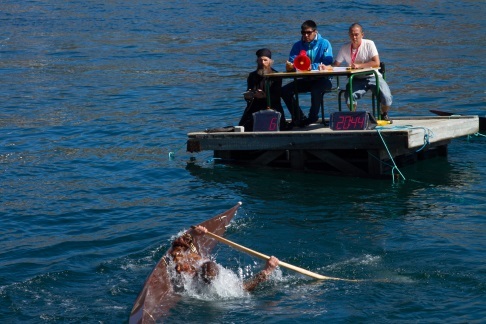 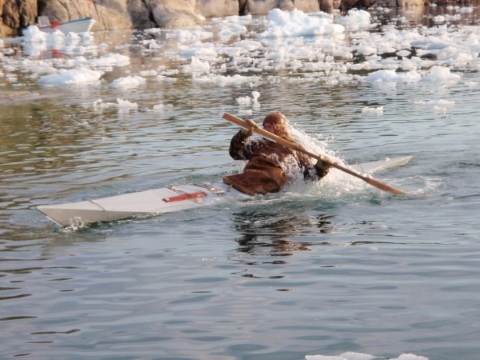 It comes from the kayaking tradition of Arctic cultures. 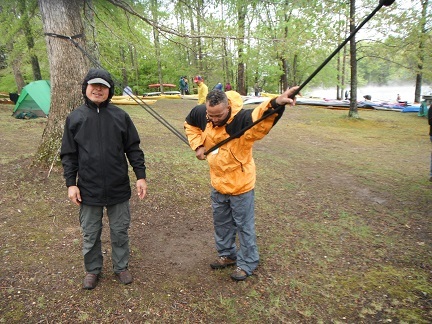 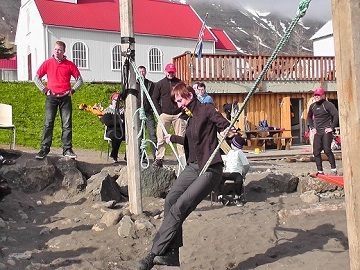 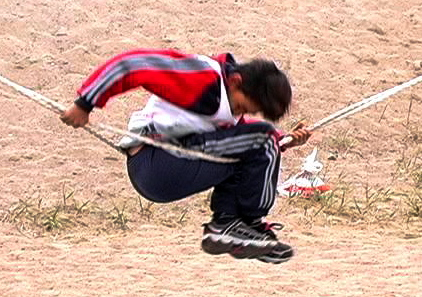 Starting from one of several different positions, the object is to rotate completely around the ropes and return to the initial orientation without touching the ground. 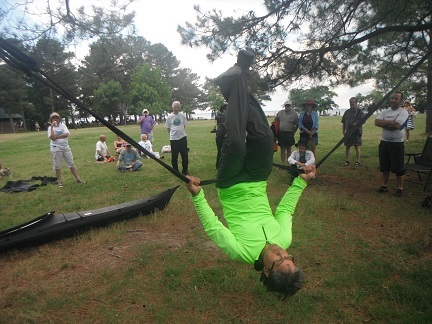 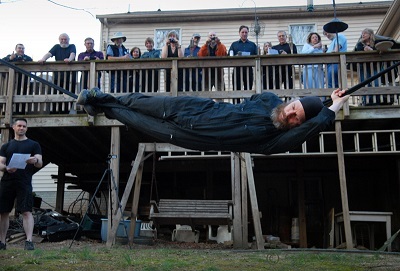 Some of the exercises simulate the technique of rolling a kayak back up from a capsize. 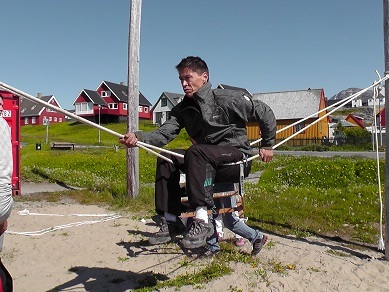 To get started, click on Allunaariaqattaarneq above. In Greenland kayak rolling is called kinngusaqattaarneq and has been developed to the highest degree. 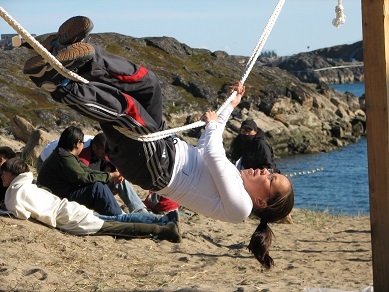 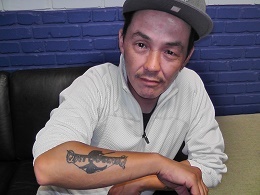 To get started, click on Kinngusaqattaarneq above. 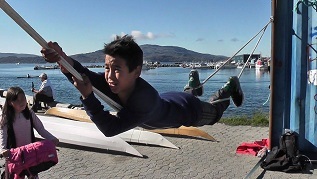 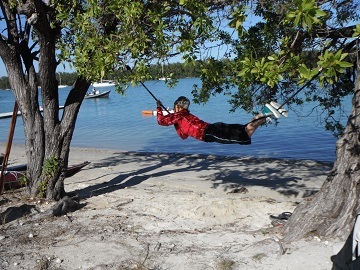 For more videos of kayak rolling and ropes gymnastics go to Qattaarneq on YouTube.